A lot of disconcerting info has been popping up on the upcoming Meizu m1 note successor, and consensus hadn't been reached even on the device's name. Some called it the Meizu m1 note 2, others Meizu note 2, but then a GFXBench entry listed it as m2 note. Well, apparently that last one is the real deal, as indicated by a post on Meizu's Facebook page. In terms of hardware, we know nothing more than what the benchmark listing revealed, which is a 5.6-inch FullHD display, Mediatek MT6753 chipset with an octa-core processor and 2GB of RAM. A 12MP primary camera, capable of 4K video recording, was quoted, and it will be accompanied by a 5MP selfie snapper. One other feature that was rumored to make its way to the new device was a fingerprint scanner, and meizu has neither confirmed nor denied that. And as if keen to fuel the rumors, the company's Indian branch has posted another teaser, promoting a Home button revolution. Whether that means simply a hardware button, or indeed added functionality, remains to be seen. 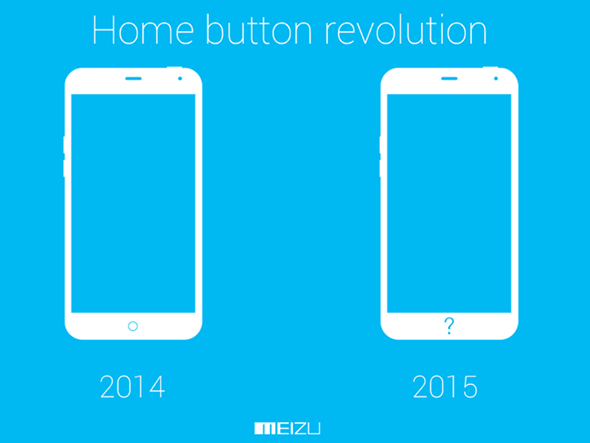 We understand Meizu's desire to build hype around the launch of the m2 note only a couple of days from now. The unveiling is scheduled to take place on June 2 in Beijing so stay tuned. I suppose we can't expect it in budget devices.